Patrick Chan landed amazingly his quad toe and triple axel but when the hard jumps seemed to be passed he doubled a triple lutz and stepped out on the triple toe he tried﻿ after the lutz. That mistake costed him the first place. 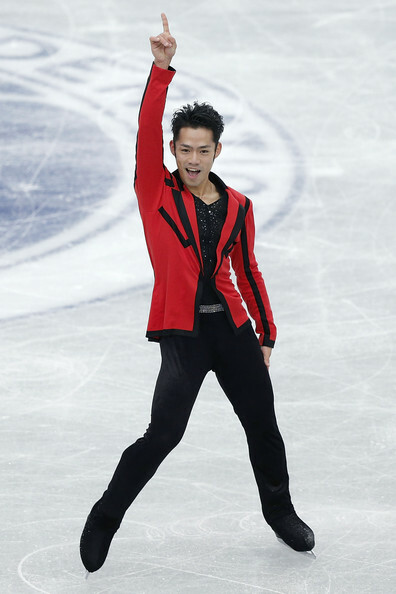 The program is stunning as he underlines every nuance of the music filling the rink with charisma and elegance. He scored 89.27 and got the second place. Yuzuru Hanyu bended his knee so much for holding the landing of his quad toe, did an amazing triple axel and then struggled with the triple lutz-triple toe combo falling on the second jump. He was very nervous going into his short program but he did really held on everything. He didn't score a world record as in the previous competitions but did 87.17.